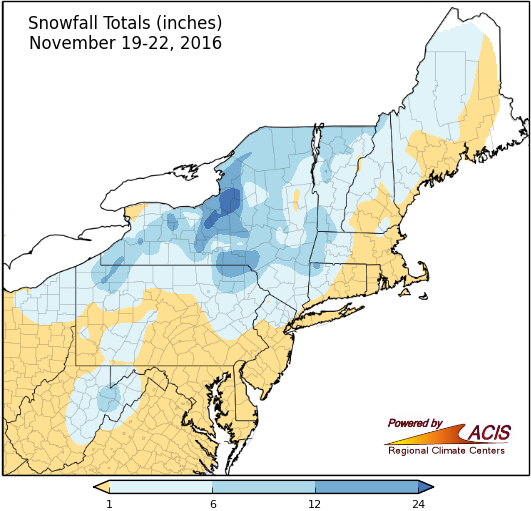 Snowfall totals for November 19-22. The Northeast had it’s first snowstorm of the season, before winter has even begun. The November storm system moved across the region and picked up moisture from the warm Great Lakes, bringing significant lake effect snowfall to some areas. High winds added to the wintry conditions, creating low visibilities, snow drifts, and power outages. There were more than 27,000 power outages in the Rochester, NY area. Schools and some businesses were closed on Monday the 21st, a portion of I-81 in New York was shut down and multiple accidents were reported including two fatalities. But will it stay for the Thanksgiving holiday? Historically, the probability of snow on the ground on November 24th ranges from 77% in Anchorage, AK to 0% in Seattle, WA. These probabilities are based on snow data from 1986 through 2015. 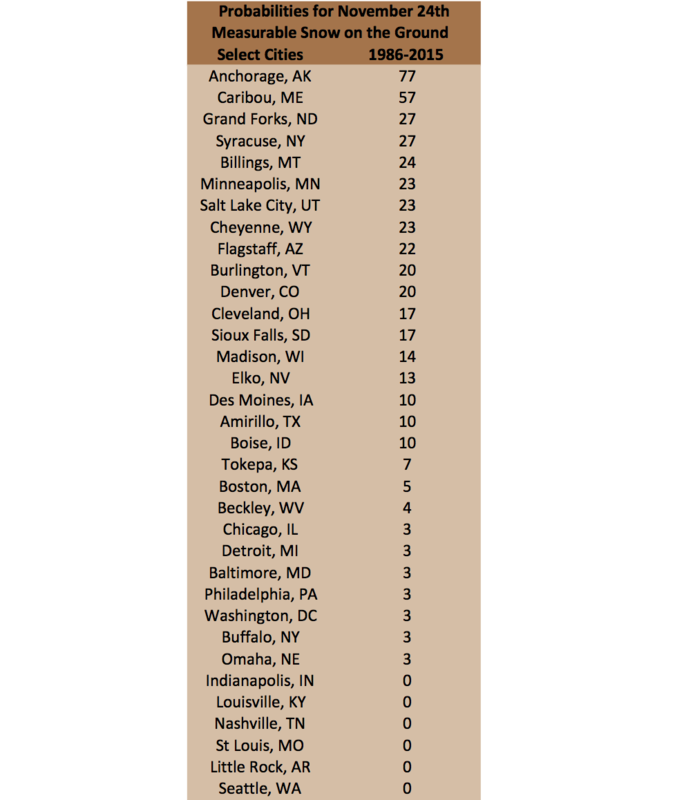 Syracuse, NY only has a 27% probability, but received over two feet of snow over November 20th and 21st. 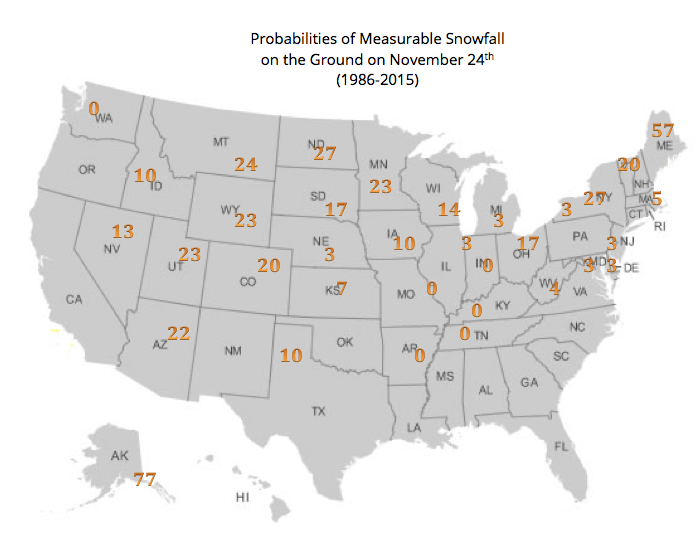 Snowfall probabilities based on 1986-2015. Another storm system is expected to impact the Northeast Wednesday into Thursday, which could cause problems for holiday travels. Will there be more snow or snow-melting rain or ice? There could be a bit of everything- stay safe!